This wasn’t the only pie I made this weekend. But it is by far the best. I tried to develop a recipe for an orange cream pie but it ended up almost tasteless so I abandoned that particular pursuit. I’ve had this recipe for Sugar Cream Pie in the rotation for a long time. I knew I’d need a quick, simple, delicious, heirloom recipe to pull out one day. Yesterday was that day. I’ve said it before and I’ll say it again, the simple pies of often better than those that take all day to make. I’ve seen many recipes for Hoosier Sugar Cream Pie on the Food Network, by Paula Dean, and posted on-line by many other famous foodies. I chose this recipe posted on Tasty Kitchen because she mentioned that her Great-Grandmama made it every holiday. I love the heritage behind these recipes and I was curious to know about the Indiana connection to this pie. I found an interesting history on Whats Cooking America about the beginnings of this humble pie. 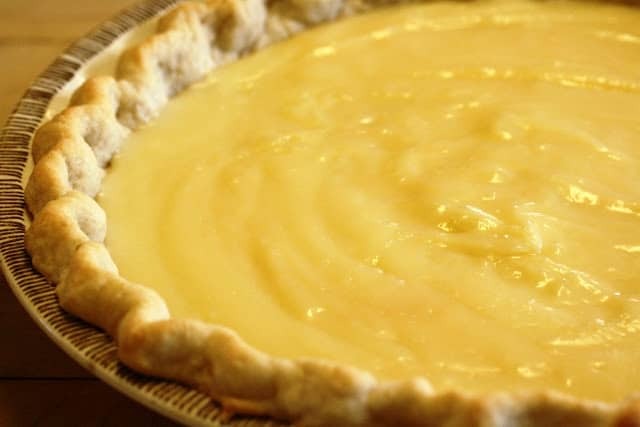 1850s – The recipe appears to have originated in Indiana with the Shaker and/or Amish communities in the 1800s as a great pie recipe to use when the apple bins were empty. You will find somewhat similar pies in the Pennsylvania Dutch County and a few other places in the United States with significant Amish populations. The Shakers believed in eating hearty and healthy food. They definitely must have had a sweet tooth, though, judging by the sugar cream pie. 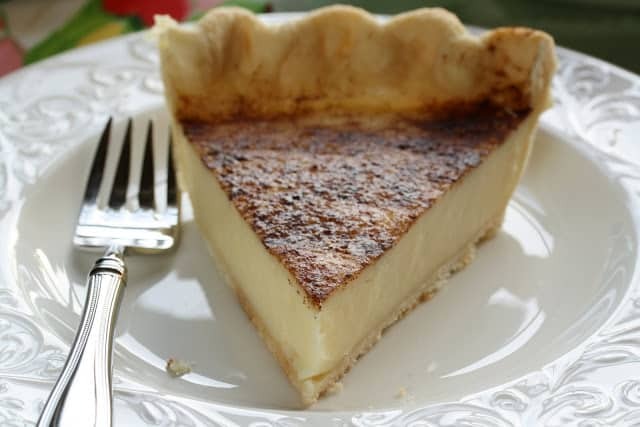 This pie was also known as finger pie because the filling was sometimes stirred with a finger during the baking process to prevent breaking the bottom crust. People used to skim the thick yellow cream from the top of chilled fresh milk to make this delectable dessert. This pie is made with ingredients that are nearly always on hand. You will need cornstarch, sugar, butter, cream, vanilla, cinnamon & nutmeg. And you’ll need a prepared pie crust. 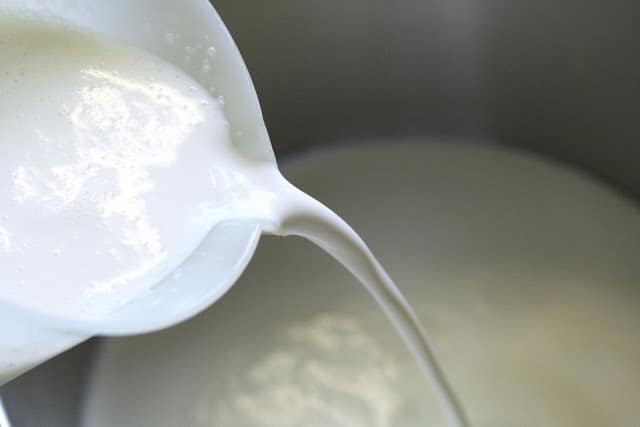 Pour the cream into a heavy bottomed medium saucepan. 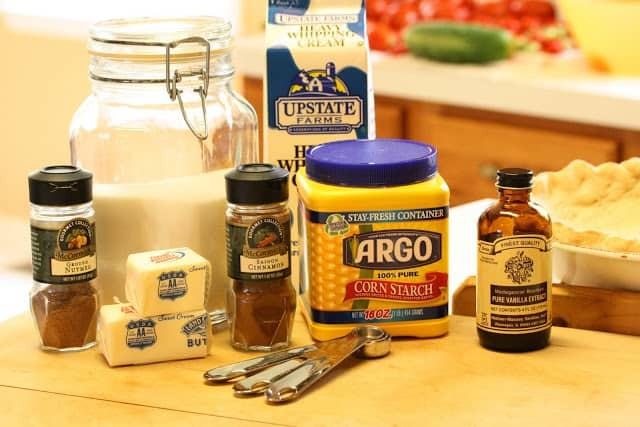 Mix the cornstarch and sugar together. Then whisk the sugar mixture into the cream. 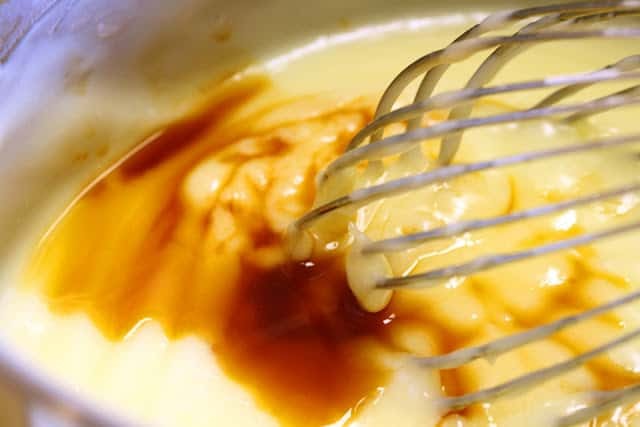 Add four tablespoons melted butter to the cream. Cook over medium heat whisking constantly. Mixture will begin to thicken and start to bubble. Cook for about more minute then remove from heat. Whisk in the vanilla until blended. Pour the filling into the prebaked pie crust. Drizzle 2 tablespoons melted butter on top and sprinkle with cinnamon and nutmeg. Place the pie under the broiler until the butter bubbles and the surface starts to brown. Cool and refrigerate for at least 4 hours or until middle is set. Store left-overs in the fridge. And enjoy a little sweet history with those you love! Pin it to your favorite pie board! 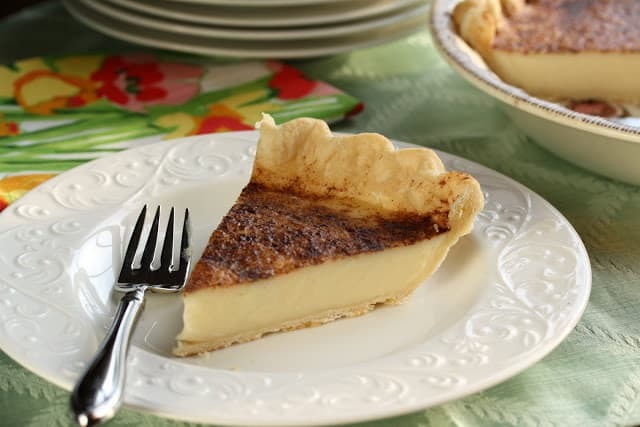 Dating back to the 1800's - this simple pie is still popular and delicious! 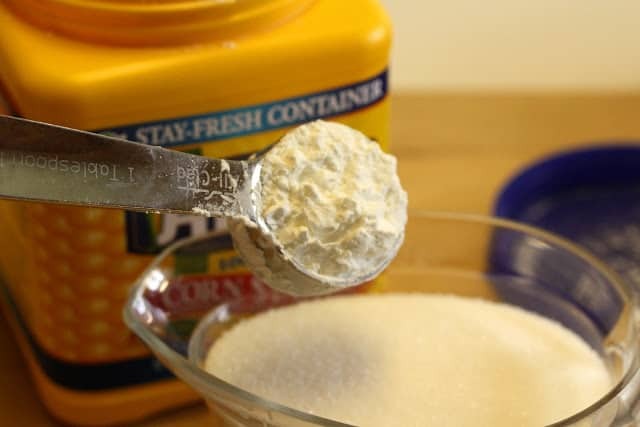 Mix the cornstarch and sugar together. Pour heavy cream and melted butter into a medium heavy bottom saucepan. 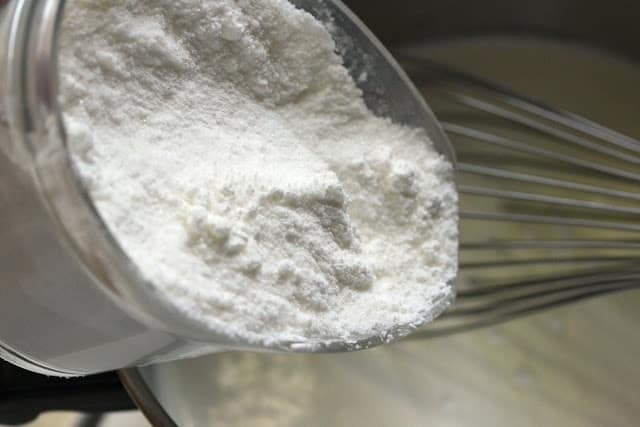 Whisk in the cornstarch sugar mixture and cook over medium heat. Whisk constantly to prevent burning and cook until mixture thickens and begins to boil. Cook 1 more minute and remove from heat. 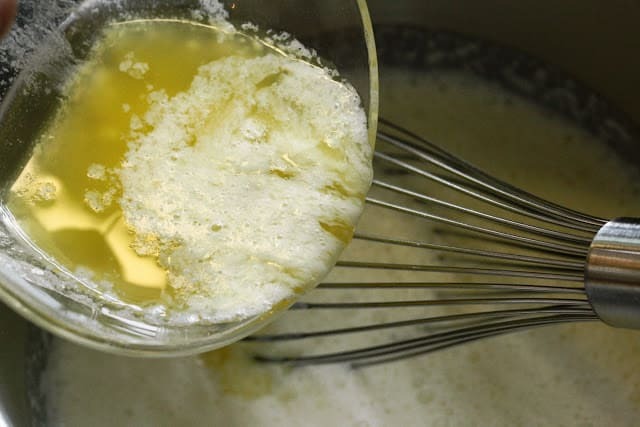 Whisk in vanilla and pour filling into baked pie crust. 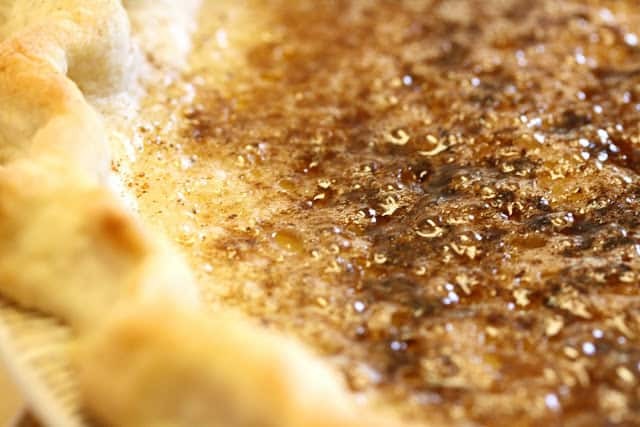 Drizzle 2 tablespoons of melted butter over top of pie and sprinkle the cinnamon and nutmeg. Place the pie under the broiler and broil until the butter bubbles and surface starts to brown. This won’t take long so don’t walk away! Cool then refrigerate for at least 4 hours or until center is set. Serve and enjoy! Use our Perfect Pie Crust Recipe in 3 easy steps with video tutorial. Click HERE to get the recipe. Thanks so much for stopping by! I hope you had a nice weekend ~ Happy Monday! Although tasty, this is not sugar cream pie. It tastes like rice pudding. Without the rice. And in a pie shell. Yummy, just not what it says. I love all of your recipes. Thank you. Thank you Kay! I hope you have a wonderful holiday season 🙂 Please let me know if you ever have any questions or if I can help in any way! This recipe might be good but it’s not even close to original sugar cream pie or finger pie as it was called in the early 1800’s because the ingredients were mixed together with your fingers directly in the unbaked pie shell. The only ingredients were flour, cream, sugar and vanilla and did not even need refrigerated, since they didn’t have them. I am 80 years old and have been baking a similar pie for many years. Living all of my life in Indiana, this pie is to be seen frequently at church dinners. I use flour in my pies and evaporated milk. I also cook mine in the microwave till thick and then put in the pre baked pie shell. Then it goes under the broiler with butter and nutmeg on top. I just finished baking one today for a birthday supper we are having this evening. I have fixed the whole supper and will take to our youngest daughter’s for the meal. Hi Sue – thanks for the comment and the information! Great tips – glad you are still able to cook for those you love! So glad I stumbled upon this.Never heard of and will be baking soon. 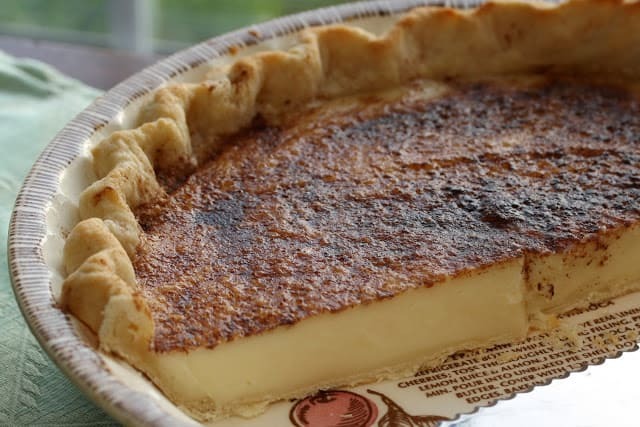 One of my favorites of a similar nature is buttermilk pie. I love a good story too! Your pie looks wonderful. I love a little story with my pie as well. Tested Grandma recipes are my favorites.